We'll add more when ABC release them. It’s been three years since American hero Alex Parrish has had to navigate the dangerous waters of the Central Intelligence Agency and put her life on the line for her country. She has been living a peaceful, anonymous life somewhere in Italy. However, Alex is forced to abandon this idyllic existence when Ryan persuades her to help him rescue Shelby from a notorious international arms dealer known only as The Widow, who is holding her hostage – and in exchange for her release she demands something that only Alex can provide. Ryan and Alex recruit Owen and Harry to help rescue their friend and defeat the villain. To help the cause, Owen brings in former agent Jocelyn Turner (Marlee Matlin), who has her own dark past with The Widow. A whole new future lies ahead for this team when they agree to work together as an elite black-ops task force. The thrilling, heart-stopping adventures continue. 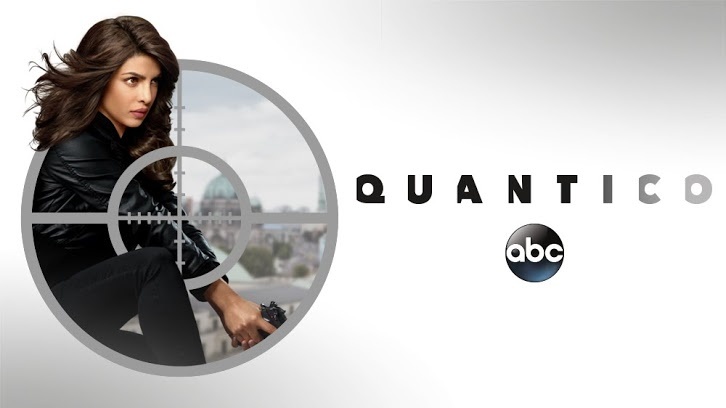 “Quantico” stars Priyanka Chopra as Alex Parrish, Jake McLaughlin as Ryan Booth, Johanna Braddy as Shelby Wyatt, Russell Tovey as Harry Doyle, Alan Powell as Mike McQuigg, with Marlee Matlin as Jocelyn Turner and Blair Underwood as Owen Hall. “Quantico” was created by Josh Safran.